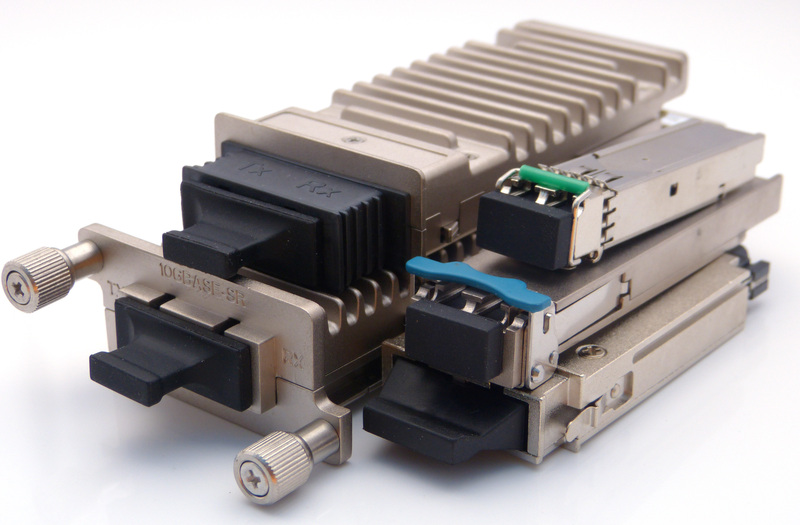 The form, fit and function of pluggable optical transceivers widely used in IT and Telecom networks are defined by internationally recognized standards called Multiple-Source Agreements (MSAs…most of the popular ones may be found at: https://www.fluxlight.com/technical-documents/). The objective of standardizing this technology was to drive high manufacturing volumes of a single implementation, resulting in the lowest possible cost. To this end, these standards have been extremely successful. Most of the fiber optic transceivers are produced in a few large factories in Southeast Asia. These factories produce transceivers extremely efficiently at volumes of millions per month. OEMs and 3rd Party vendors all contract with these same factories for their parts. Despite standardization and common sourcing, a quick Internet search of most popular transceivers will yield wildly varying prices. For example, a 1Gbps Small Form-factor Pluggable (SFP) may be priced as low as $25 to as high as $250! Upon closer inspection, the prices clustered at the high end of the range are “OEM brand” (e.g., Cisco, HP, Juniper, etc.) modules, while the lower priced modules are from 3rd party sources. So the question is: what could possibly be the difference in standardized parts between the OEM and 3rd parties? Depending on whom you ask you will likely get very different answers. Ask an OEM vendor and they will say they have carefully tested their branded parts for compatibility and using non-OEM parts could possibly cause a wide array of problems. Getting a list of what these “problems” are proves to be quite difficult. In the end, most OEMs just say something like, “it will be difficult to get field support when using 3rd party optics in their gear.” Ask a 3rd party vendor what the differences are and they will probably say “the label on the part.” Both these answers are true…the OEM can try to make field support difficult if you equip other than their brand of parts and, 3rd party vendors obviously cannot use a label with an OEM’s trademark on it. Most real-world networks are composed of components from multiple vendors. Therefore, when a problem occurs, the network operator must attempt to isolate the problem and then call on the appropriate vendor to try and resolve the problem. For example, a Cisco™ switch may use a Fluxlight™ transceiver, connected with Corning™ jumper cables through a Telect™ patch panel to an HP™ switch equipped with an optical transceiver from Add-On™. Maintenance personnel may swap cables and transceivers and perform some loopbacks to isolate the fault to a single port in one of the switches, a bad cable or a transceiver that is not generating light. Whatever the case, they simply contact the appropriate vendor and begin to resolve the problem. Contact FluxLight to find out how we can help stretch your IT budget through lower prices.